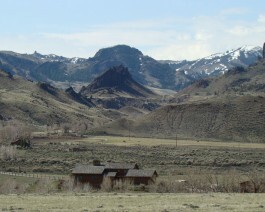 Stagecoach River Ranch is a Western guest lodging and overnight horse boarding facility on the Shoshone River between Cody and Yellowstone Park. They offer spacious lodging that sleeps 8-12 people in the main ranch house. They also have a log bunkhouse that sleeps 6-8 people. Both of the lodging facilities offer custom log beds, new full kitchens and baths and Western decor. The updated amenities will make your vacation as enjoyable and comfortable as possible. All guest lodging is located on the Shoshone River with easy access to spectacular fishing. Both have their own private entrances and parking area. They also have space available for boats, trailers and RV’s. Free WiFi access is available for your convenience. Open year-round. Pets welcome with additional fee.